If you are looking to offer advanced technical services in rural areas that lack even essential facilities, you are definitely faced with challenges. However, if you are determined, you excel. The same can be said about the Manchester-based company Stemaco. 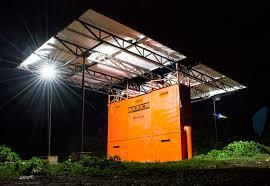 The company has revolutionized the way Africa gets power. By utilizing renewable energy resources like solar and wind energy, the company has skillfully provided electricity to several villages using the micro-grid system and smart meters. The system operates independently of the national power grids and hence is free of the red-tapism associated with it. African nations, which are looking at digital growth to bolster their economy forward, need reliable smart electricity solutions like this than ever before. For one, it doesn’t just help African citizens to play their favorite Betway games online on their smart device, it helps them carry on with their daily jobs easily. Digitization and round the clock electricity brings in more productivity, driving the country forward. How Is Stemaco Changing the Game? Stemaco works in a progressive way, in a bid to bolster productivity while keeping costs low. It utilizes the recent cloud-based remote metering system as well as the online payment system. When a customer recharges the meter, the micro-grid system receives the message and within a minute, the electricity supply is resumed. Customers are provided with the option of paying through M-Pesa. This allows the customers to deal minimum in cash and pay their bills from the comfort of their couches. The company is able to save on the financial front as the cloud funding eliminates the need to hire staff. It does not need preparation of bills and their distribution. The customers receive their bills on their mobile phones and pay through it. Maintenance: How does it happen? Since the micro-grid utilizes cloud server, any disruptions or problems are remotely detected. Technicians reach the exact spot and correct the anomaly. This saves time and resources. Not only that, the company uses an innovative way of interacting with the customers through SMS. In a nation with volatile governance and unsure power supply, this is a big relief. Stemaco took a giant leap when it chose to operate in Africa instead of Manchester or any other European country. However, it took its share of advantages. Africa is blessed with solar energy. By utilizing solar energy and wind energy, it is succeeding in lighting African villages through its revolutionary micro-grid power stations. The customers are provided with all help. If anyone fails to understand emails or text messages, they are informed through the proper channels. The local government interference is minimum which allows Stemaco to try new technologies and experiment as well. The honest efforts are finally bearing fruits. In West Africa alone, the company recently rolled out 20,000 meters. Stating from small villages, the company today fuels the big shopping malls in Nigeria. We can definitely hope of seeing a brightly lit Africa using the renewable energy resources.